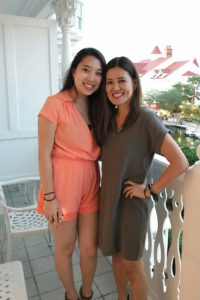 Touching Heart was founded by Helen Yi and her daughter, Taylor. They have worked on a variety of charity projects, and they both feel great joy when helping people in need. Eager to share the true happiness of giving, they started a non-profit organization in honor of Helen’s late grandmother, who set an example that has been a big influence in her life. Helen and Taylor believe that everyone has a giving heart and that the human spirit of giving and helping can unite people. It’s an amazing feeling when you discover how to be a better person through helping others. This also brings a new found appreciation for all the blessings we have. Helen and Taylor realize how blessed they are and want to extend their blessings to children in need. They also want to inspire other children to experience the true joy of touching someone else’s heart.